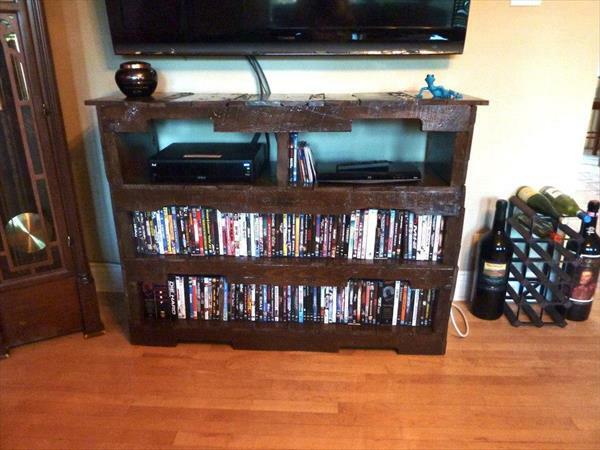 The best thing about working with pallets is that you can customize anything in any way you desire and you like. I am sharing about my work I did with pallet wood and is completely handmade. I have given it a rustic look but you can choose to make it colorful by painting it in any bright color. The materials that I have used to make this pallet wood television stand are recycled pallets, stain glass, dark walnut stain and verathane. 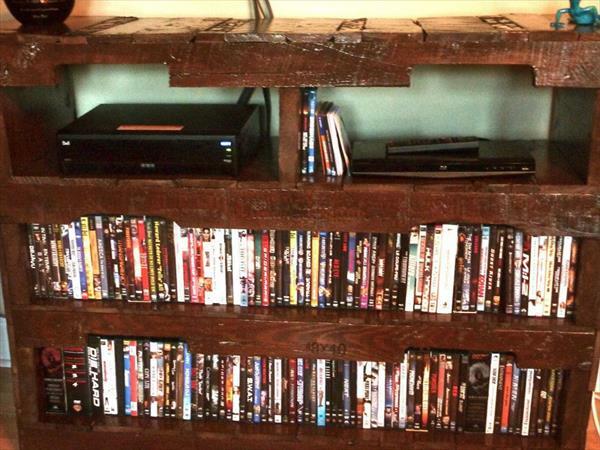 The dimensions of the TV stand are 54 wide, 40 high with shelves 15 deep by 8 high.